The toy building blocks were used to create a potentially edible structure for future cultured steak. Not that long ago, the idea of growing “real” meat in a lab and serving it as a replacement to farm-raised beef seemed like science fiction. Now, the question doesn’t appear to be if cultured meat will hit store shelves but when. And the science behind some of the innovations in the lab-grown meat movement isn’t “fiction” at all. In fact, new research from Penn State created a breakthrough using one of the most down-to-earth pieces of technology you could think of… Lego bricks. 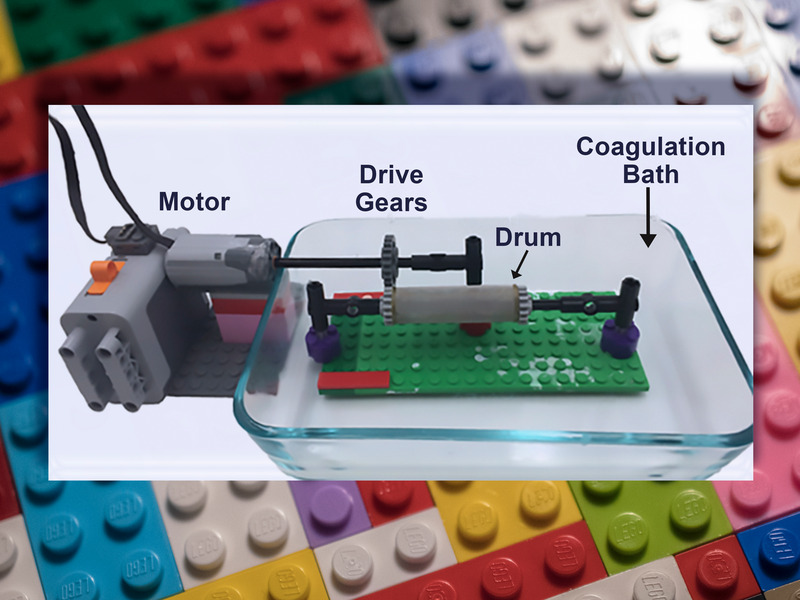 For their study, recently published in the journal Food Hydrocolloids, food scientists from Penn State and the University of Alabama used ordinary Lego bricks to create a potential solution for improving the texture of cultured meat. In the process’s most basic form, when animal muscle cells are cultured to create meat, they grow without organization, leading the final product to look like ground beef. To take the form of a cut of meat like a steak, these cells need some sort of structural support — Penn State refers to it as a “scaffold” — to arrange them in a specific alignment. The researchers wanted to turn starch fibers into that scaffold, and in building the resulting electrospinning device to make that happen, they ended up digging into the toy box. But don’t expect Lego to continue to play a major role moving forward. The researchers say one of their next steps is to scale up their equipment to produce larger quantities of these starch scaffolds. It stands to reason that they won’t be buying a larger Lego set to help them do it.